CWPL can help you with other problems associated with deceased estates. Assets may have been improperly transferred out of the name of the deceased before they died. Property titles may have been altered so that the property ends up being automatically passed to a person who is not even mentioned in the Will of the deceased. In this case the property is not a “ Will asset” and the executor has no direct control over the property whatsoever. Someone who was granted a Power of Attorney over the deceased’s affairs may have abused their powers, before the deceased died. The executor may have submitted fraudulent receipts for reimbursement by the estate, effectively robbing the beneficiaries who are entitled to take under the Will. The executor is unduly delaying the finalisation of the affairs of the deceased, and indirectly benefiting themselves in some way. CWPL can check whether any abuse has actually occurred, and how it occurred. CWPL can calculate what should be in the estate, how much is missing, and the losses that you can claim back. CWPL can help you seek reimbursement or recovery of the assets. CWPL can commence legal action to recover the amount lost. If a professional adviser was also involved, CWPL can take action against the adviser. CWPL can take action to take away any powers that the person still has over the affairs of the deceased. We can sometimes help to get back assets that the deceased gave away before they died. As a lawyer and with his experience as a tax lawyer, qualified accountant and financial planner, Terry Johansson can thoroughly investigate the situation for you, and advise you on the best way to get the assets back. We can only commence a Will Dispute if any Will left by the deceased is valid. The question of the validity of the Will must be dealt with first, and only when it is approved by the Court can we commence a Will Dispute. Legal Incapacity: Show the Will maker was not capable of making a Will, because they were not mentally able. Undue Influence: Show that the Will maker was under improper pressure to make a Will, so that he never really had any real choice, or that it was made under suspicious circumstances. Will Not Properly Signed: Show that the Will was not signed as required by the law. Another Will Found: If a second valid Will has been discovered, it may operate instead of the old Will. 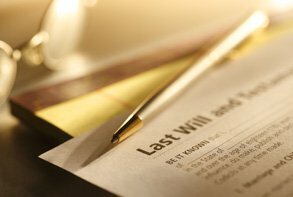 You will need legal help to get the second Will enforced. Otherwise, the first Will may be implemented instead. Will is Forged: A Will may be judged invalid because of concerns about forgery. A forgery is where a Will is tampered with or altered, so as to change its meaning. A Will which is a forgery may even be a “fake” Will that was never even signed by the Will Maker. To dispute any pre-existing contracts that were made by the deceased, if they affect the value of the assets in the Estate. To show that the wording of the Will, combined with other information, may change the way certain assets must be distributed, even though the wording seems, on the face of it, to say something else. Take action against the Executor or Administrator of the deceased person’s estate for negligence in the way they have handled the financial affairs of the Estate, or to claim that the Executor has failed to finalise the Estate within a reasonable time. That there has been a failure by the Executor or Administrator to provide adequate information to the beneficiaries as to the progress of administration of the estate, and the financial details. The Executors of the estate involved in a Will Contest or Challenge usually consider themselves entirely innocent! People usually agree to act as an Executor without knowing what they need to do, and not even realizing that they can be legally liable to the beneficiaries. Is it worthwhile spending the Estate money in defending the claim or is it better to settle. How much should be paid out to settle the claim and how will this affect the amount left for the other beneficiaries. Who will bear the legal costs? Can the beneficiaries sue for negligence, or claim that the Executor is acting improperly? How to properly protect the Estate for the benefit of the beneficiaries, and how to properly deal with the claim. As the litigation would hold up the winding of the Estate, is the Executor liable to the beneficiaries? Can the beneficiaries take legal action against the Executor if the value of the assets fall? What steps must the Executor take to protect the Estate’s assets? What other types of legal action might the Claimant take in order to get what they want? Can anyone else, apart from the beneficiaries, sue the Executor? The Executor is also faced with resolving how to interpret the Will. For instance, events that occurred after the Will was signed may end up giving the effect of the Will a totally different interpretation. As experts in estate litigation, CWPL can help the Executors to interpret the Will and correctly administer the estate, so as to best shield the estate from legal action. If you are acting as Executor of an estate that may involve legal proceedings, please feel free to contact us for an Initial Review, on the phone, and without any obligation to you whatsoever. If you are an Executor appointed under a Will, you will usually need a grant of Probate to be able to collect the assets and administer the Will. If a person has died without making a Will, you will need to arrange Letters of Administration. We can obtain Probate or Letters of Administration for you in New South Wales and Victoria and can arrange these documents in other states or overseas.